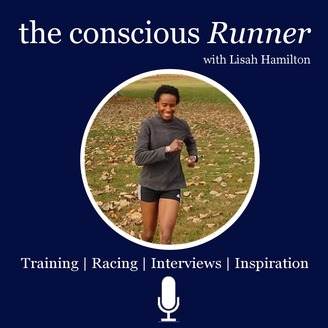 The Conscious Runner podcast is dedicated to one thing and one thing only--helping you rock your life! The Universe is unfolding EXACTLY as it should. Sometimes it's gifts come in the form of challenge and strife and other times they come in the form of good fortune. You don't always get to choose what happens to you, but you do choose how it impacts you. 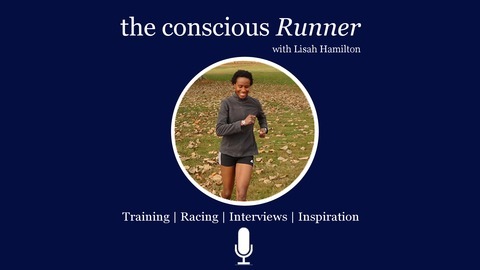 Jam-packed with interviews and wisdom, this podcast is about you running your life instead of allowing fear to run it. It is about taking risks and going the extra mile to achieve better things. It is about living each day in peace, knowing you're ok at your core. It is about unapologetically being YOU. It is about FREEDOM! Today, I’ve got an amazing interview for you. It is with my client Julio Serrant. When Julio came to me he was training for the Marine Corps Marathon and had a severe bout of plantar fasciitis. He had been dealing with it for a year. He had gone to doctors, chiropractors and physical therapists and got no relief. He had tried herbs, supplements, praying to the running Gods and more, and more and more, but was STILL in an incredible amount of pain. He hurt ALL THE TIME. He hurt when he sat, he hurt when he walked and most of all, he hurt when he RAN. In fact, it got so bad, he had to stop running and pull out of the Marine Corps Marathon. Not to mention the frustration of not being able to do something he loved. I remember the email he sent to me. It was heartbreaking. He was in so much pain and contemplating giving up running all together. He felt he exhausted all his options and was as at a complete loss as to what to do. When Julio told me what was going on, I knew I could help. Julio began to rebuild his body and within the year, he was 70% better and had run a marathon. At the recording of this interview he was 80%-85% recovered and had run several more and set personal bests along the way. I wanted to share this story with you because I know many of you are in pain and have been in pain for months or years or maybe you want to get faster and prevent injury. Either way, your running goals are too important to leave up to a body that may be working against you instead of for you. After all, getting faster should feel good. Book a FREE breakthrough call with me and lets get to the root of what’s going on in your running, and craft a strategy to what you want to create instead.